As the time ticks on, it’s not only a widening middle and lack of energy we’re battling with – those signs of ageing start to creep up on us and flip everything we know about makeup and skincare on its head. What we’ve been using in our teens and twenties is often the complete opposite of what we need in our thirties and beyond, as pimples and under-eye circles are replaced with pigmentation and fine lines. It’s not just our skincare regimes that need a little care and attention, as little changes and swaps in our makeup bags can make the world of difference to how we feel – because we all want to look our most fabulous and enhance our best features. If you’ve been noticing your usual portfolio of makeup treats has been leaving your complexion looking a little lethargic, your base just isn’t sitting right or your usual eye makeup just doesn’t seem to be having the impact it once did, then you may be in little need of a switch up. Take it from someone who knows: we all need to revisit our faves every so often, especially as we hit our 30’s, 40’s, 50’s and beyond, and these are the changes I’d recommend every time. A little swap can make a big difference. Layering on foundation without a second thought isn’t always practical as we get older, as it has a tendency to sit in fine lines, exacerbate creases and cling to patches of dryness. Prepping skin with a lightweight moisturiser to add hydration, as well as using a lightweight primer to even out the surface, can make the world of difference. 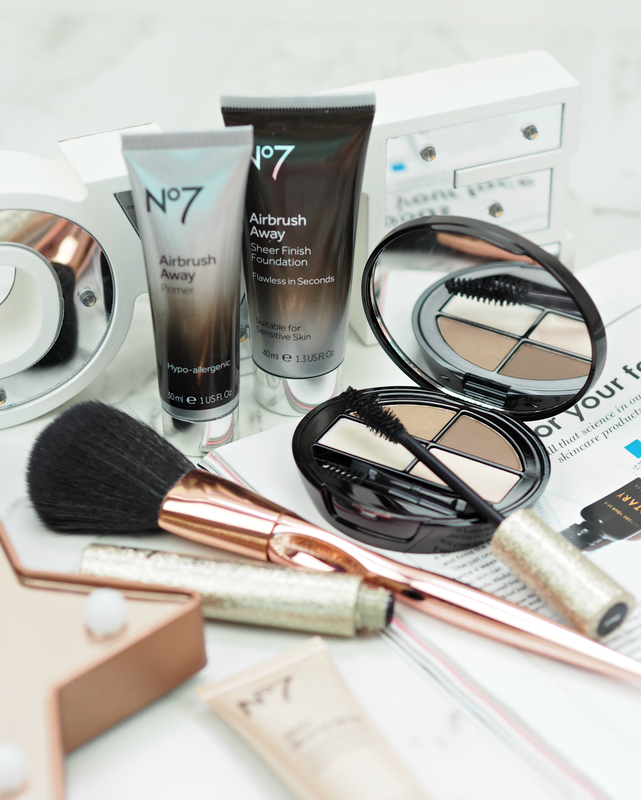 Opting for a velvety-smooth formula such as No7’s Airbrush Away Primer (£16.50) will help to create a uniform base that won’t soak up the rest of your makeup like a sponge – plus it will help keep it in place for longer. One of the biggest changes I’ve made to my routine as I’ve edged into my mid-30’s, has been the foundations I reach for on a daily basis. Gone are the cheap and cheerful pigments in favour of creamier and more hydrating formulas; my priority now is to find a long-lasting and radiant base that helps to create a uniform finish without covering over every line or contour. 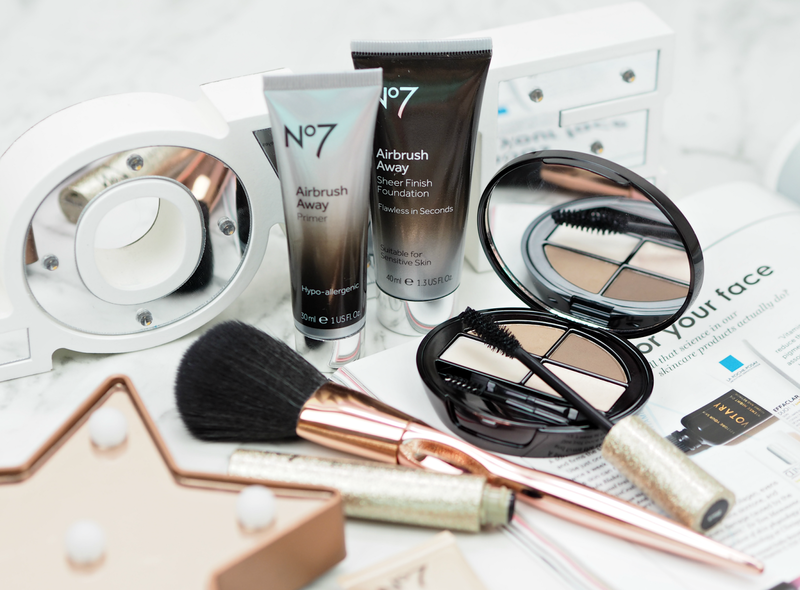 Something like No7’s Airbrush Away Sheer Finish Foundation (£16.50) is a great alternative as it effortlessly glides over skin to literally ‘airbrush’ away imperfections and fine lines, leaving a lightweight finish that’s almost invisible. exacerbate the appearance of fine lines too. To ensure your makeup looks fresh and dewy, swap out those heavy powder formulas for a light dusting of something finely milled and super smooth – No7’s Airbrush Away Translucent Finishing Powder (£13.50) is so lightweight it’s practically invisible on the skin, while their bronzing and blush Shimmer Palettes (£13.50) add a touch of luminous colour without overloading the skin. Even HRH Kate has ditched her favourite black khol liner for something a touch more flattering. Although a thicker lash line conveys the illusion of youthful eyes, a heavy-handed technique and jet-black colour is not necessarily the way to go. Swap your usual black for a grey, navy or brown shade, which are softer on the complexion. Instead of creating a super thick line, focus on delicately drawing as close to the lash line as possible (which makes it look fuller) and buff into the lid with a small blending brush; the softer line will create a much more flattering overall look, especially when paired with a strong brow. Reach for a palette like No7’s Beautiful Eyebrow Kit (£12.95) and fill in any gaps; we naturally associate full brows and lash lines with being youthful, so it will instantly lift the face, widen the eyes and make you feel so much more confident. The ‘strobing’ trend isn’t just one for the teens; adding a touch of luminosity to skin helps it to glow, oozing effortless radiance that says ‘I’ve just got back from a relaxing long weekend at the spa.’ Don’t be scared of adding a touch to the tops of cheekbones, along the bridge of the nose and even under the brow arch – it creates light just where you need it. No7’s Shimmer Palette in ‘Caramel’ (£13.50) provides the perfect combination of warming bronzing tones and a flush of highlight, without overdoing the shine or sparkle. If you don’t know where to start, then visiting a No7 counter is a great place to begin. Their products are pretty amazing for the price point, providing formulas that really work with ageing skin – they understand that we need flattering and lightweight textures, without having to spend a fortune for the privilege. They even have a super clever and swanky ‘Match Made‘ service which ensures you leave with the products and shades that work best for your skin tone and needs; find out more online or pop into your local store for a FREE experience. Which changes have you implemented into your routine as you’ve gotten older? 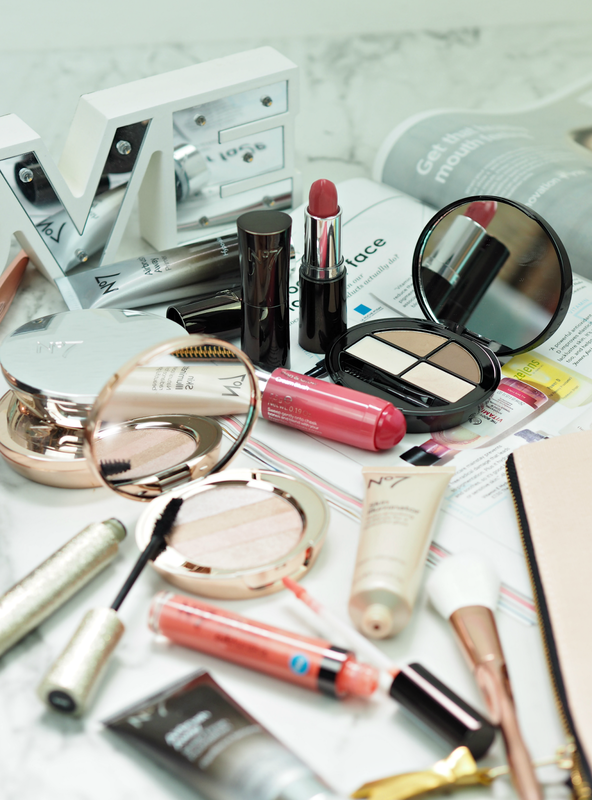 Have you noticed your usual products under-performing or not creating the look you used to love so much? 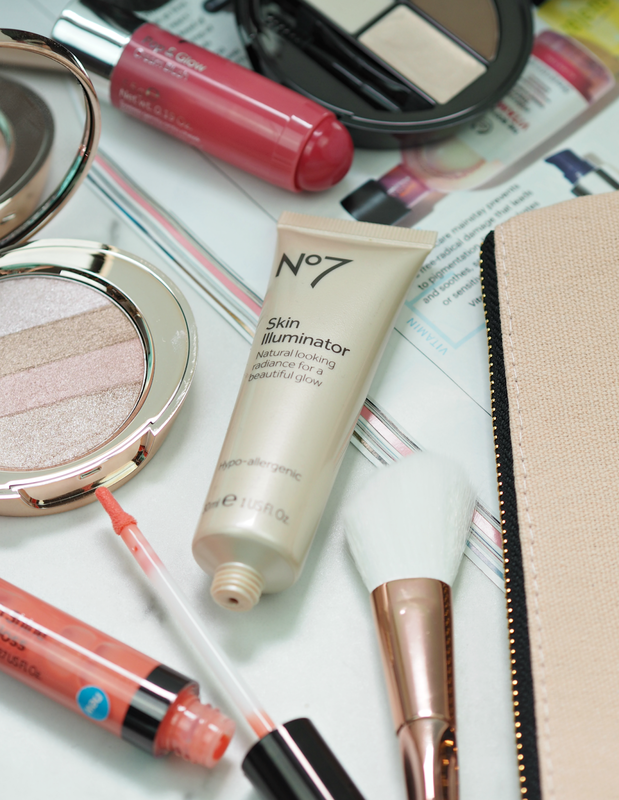 Discover the full No7 range on the Boots website here. This is a sponsored post on behalf of No7; all opinions are my own. Previous Post ‘Pout’ Is The Ultimate Phone Case For Makeup Lovers: On-The-Go Has Never Been So Good! Glad you found them helpful! I'm all about brightening and a touch of highlight at the moment. And lighter concealers because they show up my fine lines! I like this because it doesn't come across as judgemental to any ladies who still like to experiment and have fun with their makeup. I'm 26 but I'm trying to master highlight. I think I need to upgrade my foundation first.